Our adult recipe is tailored to promote strong muscles with protein and Omega fatty acids to promote healthy skin and a shiny coat. 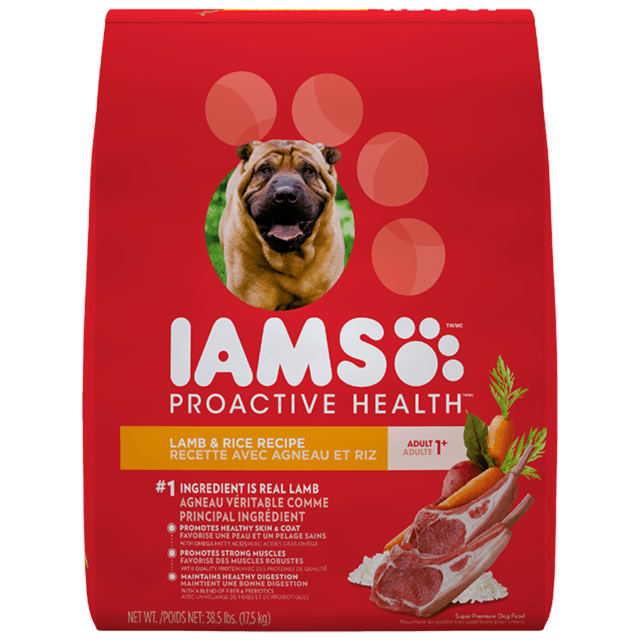 With this premium tailored recipe, you can be confident that your dog will always be at their best, today and every day. This is a great alternative to the HEALTHY NATURALS™ LAMB AND RICE. Here you’ll find the same high-quality, tailored ingredients that ensure your dog is always at his or her unique best. Omega 6 fatty acid for healthy skin and coat. Tailored fibre blend including prebiotics and beet pulp for healthy digestion. Supports strong, firm muscles with protein sourced from lamb and egg. 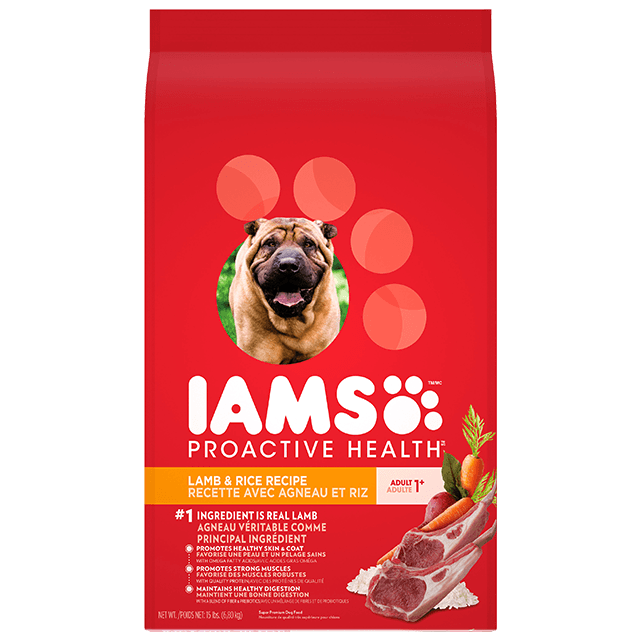 • Because IAMS PROACTIVE HEALTH Lamb & Rice Recipe Adult Dog Food is complete and balanced for adult dogs, you do not need to add vitamin or mineral supplements. 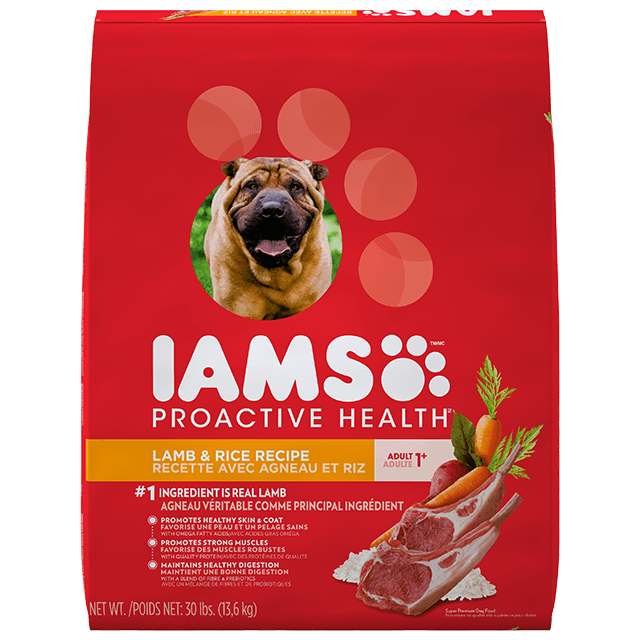 IAMS PROACTIVE HEALTH Lamb & Rice Recipe Adult Dog Food is formulated to meet the nutritional levels established by the AAFCO Dog Food Nutrient Profiles for Maintenance.